Where did Fall go? The sun seems to be setting just after 3pm. The nights stretch for an eternity! I have my hat, gloves, scark, wool button-up, and puffy vest at the ready in a pile by the door. Here we go... down to the bottom toward the Winter Solstice. Just the other day a friend mentioned x-mas presents- oh yeah, x-mas presents! And holiday parties and sharp colors and pale skin. Events! Reasons to put on lipstick! Okay, Winter is starting to sound more enticing. 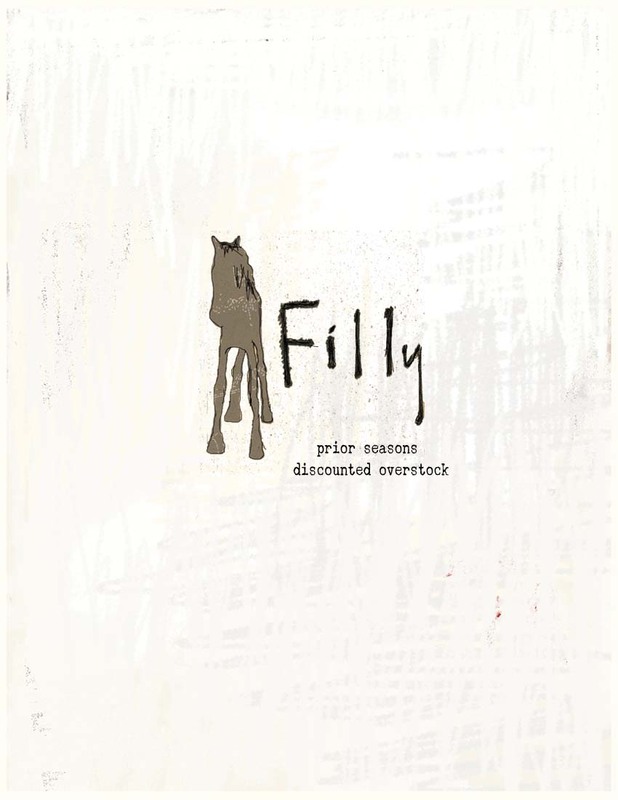 Filly clothing is always available to purchase. Just e-mail me or Rayah. We are also offering discounted pieces from previous seasons. Click on the link below to view the discount catalog. Having just the right thing to wear- to feel cozy, to feel pretty, to feel prepared for whatever the day has in store- helps me feel warm inside too.